The Delta Junction area is home to a variety of game for the hunter and photographer. From the lowlands near the Tanana River to the high alpine meadows of the Alaska Range, visitors and residents alike can find wildlife memories to last a lifetime. Most popular locally is moose hunting. Closed to hunting altogether because of low populations many years ago, the Delta area moose population is now booming. Over 100 moose are harvested annually in Game Management Unit 20D, in which Delta Junction lies. 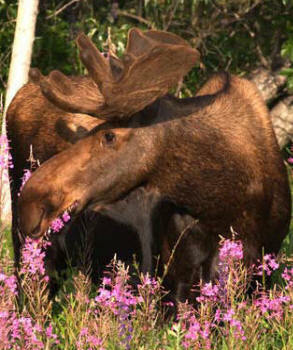 The largest numbers of moose are found on the western end of the subunit. Successful hunters use boats, ATV, motorcycles, aircraft, 4.wheel drive rigs and even farm tractors! A portion of this area is closed to moose hunting. The Delta Junction Management Area is closed (except for a limited number of permits) to prevent an over harvest of bulls in the immediate Delta area. Consult the Alaska hunting regulations for exact boundaries. The regulations are available from license vendors in the Delta area, or from the Alaska Department of Fish and Game on line. 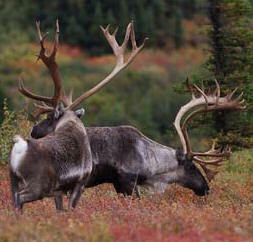 Another highly popular big game species is caribou. There are several caribou herds in the vicinity: the Delta Herd, in the foothills of the Alaska Range, to the west of Delta; the Macomb Herd, in the mountains southeast of town; the Fortymile Herd, in the hills northeast. Sheep hunting is an important outdoor activity for many Alaskans. It is a bit more difficult for visitors, however, because Alaska law requires that nonresidents be accompanied by a registered guide (Alaska Hunting Guides Directory) or a close relative who is an Alaska resident over 19 years of age. 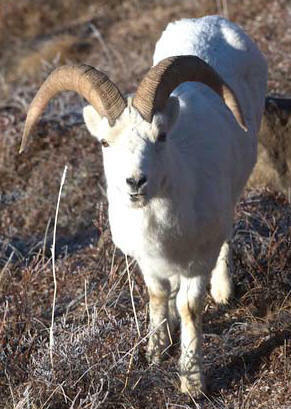 Additionally, most local sheep hunting opportunities are by permit only, and these must be obtained in advance. The normal deadline for permit applications is the month of May. 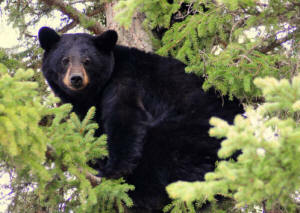 Black bears are found in the Delta area, and can be harvested by non-residents without a guide. Grizzly bears, like sheep, may be hunted by non-residents only with a guide or a relative. Most black bears are taken incidental to other hunts, but determined hunters can usually bag a black bear. 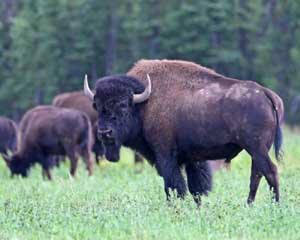 No discussion of big game in the Delta area would be complete without bison. Immensely popular with Alaskans, bison may be taken only with a drawing permit. Each year, about more than 10,000 people apply for the 60 to 100 available permits! With half a ton of excellent meat for the prize, many think the odds are worth the $10 application fee. The Alaska Outdoors Supersite offers a significant number of Alaska hunting related books and videos at discount prices. Additional information about hunting in the Delta Junction area of Alaska can be found in the Alaska hunting forum.